The year is 2006 and the hottest accessory in Hollywood (and everywhere else) is the Motorola Razr. If you weren’t a teen girl pining for a hot pink Razr, did your adolescence even happen? Well, flip phones are back and Kim Kardashian West is riding the wave hard. Spotted in Tokyo, Japan with hot pink hair, Kardashian sported a hot pink flip phone to match. 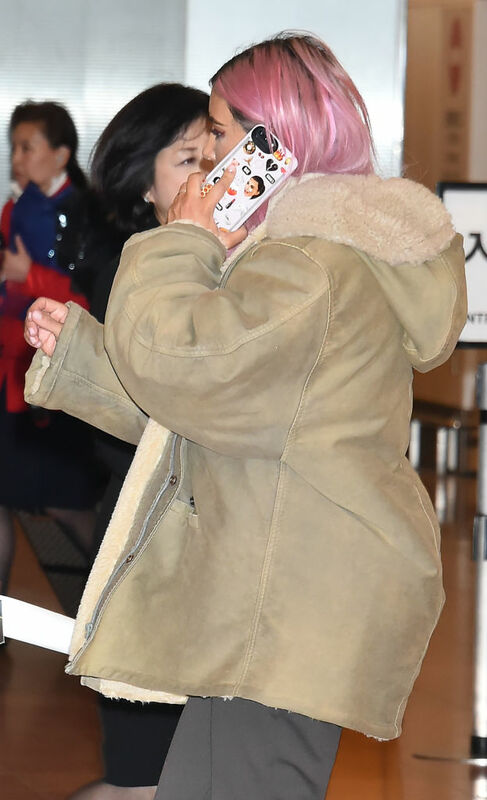 Kim was photographed around Tokyo holding the little phone (BuzzFeed has the photos), but at other times on the trip, she used her iPhone (with a signature Kimoji phone case, naturally). However, we assume all famous people have — at a minimum — two phones, so this still checks out. You can buy a flip phone today if you want, because they never really “went away.” This flip by LG is $180 and is perfect for the person who wants to call and text and do literally nothing else with their phone. However, if you want a flip phone that screams “nostalgia” — the Motorola Razr is actually coming back “very soon,” according to the Lenovo CEO, who acquired Motorola. Kim shared a video of the little phone on her Snaphact and when closed, the phone looks like a toy Ferrari. It’s cute. We don’t know where to acquire one of these faux Ferrari flip phones, but we’re willing to book a flight to Tokyo to seek one out. Also, Kim’s entire Tokyo trip was VERY Kim: Girl of the 21st Century. Look at her out here with her pink hair and silver bike shorts, serving up space station flawlessness. Stay tuned for the inevitable Kimoji launch of tiny pink flip phones.